Home safety can mean many different things; it means playing safe, eating safe, bathing safe and living safe. Keeping our homes safe will help to make them a fun and healthy place to bring our friends and family; but if we don't follow proper home safety, we might get hurt or cause someone we love to get hurt. The following resources have important information and can help us learn more about home safety, so that we can all do our part to make our home a safe place to live and grow. What is a Poison? – Through this resource, readers will gain a basic understanding of what a poison is, what they should do if they are exposed to a poisonous substance, and how to protect the family from poisoning. List of Common Household Poisons – A list of items typically found around the home that if ingested, may be poisonous. Poison Prevention Information – A webpage with simple safety rules to keep children away from poisonous chemicals found in the home. This page also includes the phone number for the Poison Control Help Line and space for you to fill in your doctor and hospital's contact information. Poison Control Tips for the Whole Family – A checklist for children, parents and grandparents with helpful tips to keep kids safe. Poison-Proof Your Home – A list of safety practices that can be implemented to keep children away from household poisons. This also includes information about what to do, should a child ingest or be exposed to a poisonous chemical. Safe Kids – A website for kids with basic information about poisons and why they are dangerous. Household Safety: Poison Prevention – Information for kids and teens about poisons and storage tips to prevent poisoning. Poison ID Game – Test your knowledge of household poisons with this easy to play picture game. The Poison Prevention Detection Game – An educational poison review game for kids. Drop and drag the “Poison' and “Not Poison's to the correct box. Going Up? 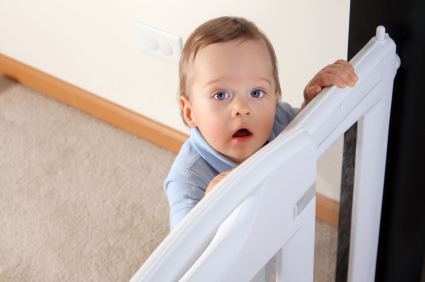 – A collection of a ladder safety tips for children and parents. Stairway & Ladder Safety Information – This informational page provided by OSHA includes basic stairway and ladder safety information, as well as a glossary to help readers understand the material covered. Kid's Fall Prevention Tips – A brief list of tips for kids to help them avoid falls and injury. Fall Prevention for Children – Information for parents and teachers to help make the areas children live and play in more safe and secure. Keeping Children Safe Around Windows – Detailed information to help prevent falls and injuries related to windows. Window Safety Activity Book – A printable window safety activity and coloring book for kids. Choking and Choking Hazards – A detailed booklet of information about choking hazards, warning signs and preventative measures that can be taken to save a life. Common Choking Hazards and Prevention Tips – A list of foods commonly associated with choking and what to do should you see someone is choking on their food. Choking Prevention for Children – Important facts about choking and how to prevent a choking emergency. Foods to Avoid Giving Small Children – These foods are very tiny and may be a high risk food to give to young children, like a little brother, sister or friend. CPR Quiz – After learning all about CPR, test your understanding of CPR and how to correctly administer CPR if you see someone choking or suffocating. Choking and Suffocation Prevention – A beginner's guide to understanding what choking and suffocation are and how they can be prevented. Choking and Suffocation Prevention Tips – Bulleted tips to prevent choking and suffocating, including safe sleeping, playing and eating tips. Interactive Suffocation Prevention Tool – Use this cool tool to identify suffocation hazards in your home. Kid's Fire Prevention – A kid-friendly website all about fire safety and prevention. With tons of information and games available, learning about fire safety can be both fun and informative. Fire Prevention with Sparky! – Sparky has great games and information for kids to help keep them safe in the event of a fire. Smokey The Bear – This classic fire prevention spokes-bear has helped teach children about fire safety for decades. Fire Safety and Prevention Activities – A collection of online activities for kids to help them understand the importance of fire safety. Five Fire Safety Rules – These are the five most important rules to follow if you see a fire or hear the fire alarm. The Fire Safety Handbook – Helpful information about fires, common causes and what to do in the event of a fire. Fire & Burn Prevention – An informational webpage with everything you need to know about fire safety, including common fire starters, safe escape measures and FAQs. Campfire Safety – Camping is fun, but it is important to know how to have a campfire safely. Fire Safety Resources – A collection of links all about fire safety and prevention for children. Kitchen Fire Prevention – A list of tips and information to help families avoid kitchen fires. A Kitchen Fire Simulator – This tool can show how a kitchen fire starts and progresses at rapid speeds. Use proper fire safety to avoid kitchen fires in your home. Toy Safety – A brief overview with tips for parents choosing safe toys for their children. Toy Safety Tips Brochure – Detailed information about the dangers related to children's toys and how to protect your infant or toddler. Crib Safety – Bulleted crib safety tips to ensure your infant or toddler sleeps peacefully and safely. Infant Safety – Everything you need to know about infant safety, including bathing safety, baby proofing your home and much more. Infant and Child Safety Checklist – An easy to use safety checklist for parents of infants and toddlers. Safety Tips for Infants and Toddlers – Information and suggestions for parents interested in making their home a safer place for their children.